"A magnificent millennial nightmare" ALAN MOORE, creator of Watchmen and V For Vendetta. Wow, seriously hard to put down... chilling and utterly immersive" M.R. CAREY, author of The Girl With All The Gifts. Selected by Simon Mayo's Radio 2 Book Club! A Not The Booker prize longlist selection of Summer 2016! Out in paperback right now in the UK, US and Canada, this standalone book delivers the answers to those questions and many more. Check out the book which The Three author Sarah Lotz describes as "scarier than watching The Exorcist in an abandoned asylum, wittier than the lovechild of Stephen Fry and Charlie Brooker"! 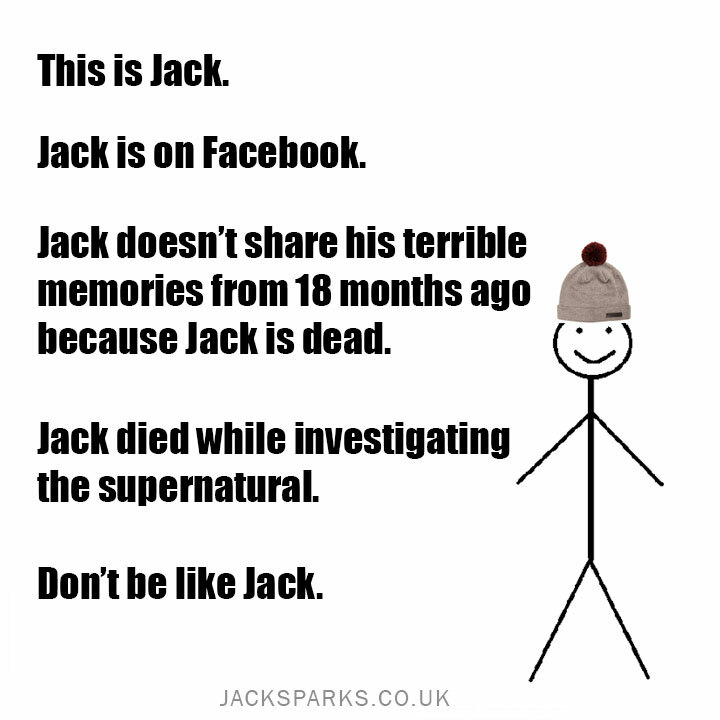 Get an overview of Jack's final days on Earth. 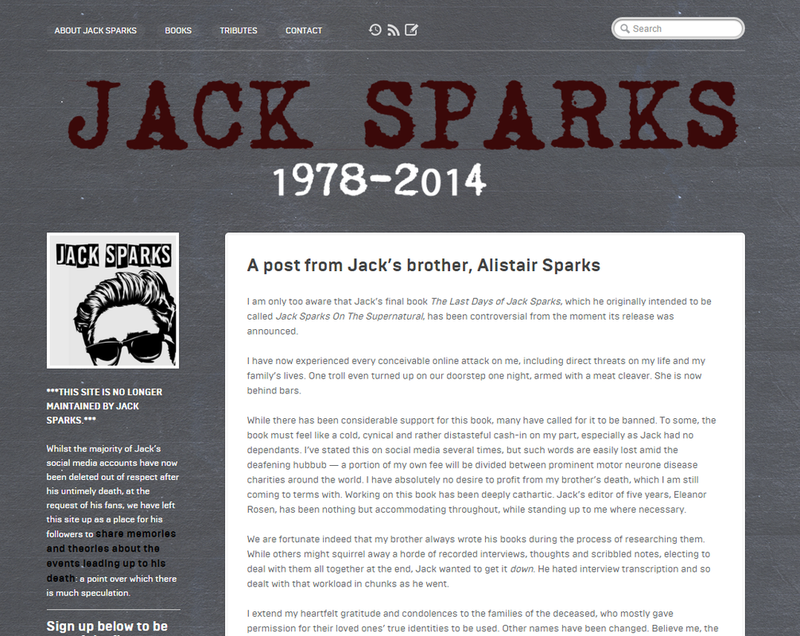 Preview a PDF containing the book's Foreword, written by Jack's brother Alistair Sparks, and Chapter One. Or check out the first five minutes of the audiobook. The Three author Sarah Lotz, The Girl With All The Gifts author M.R. Carey, Derren Brown collaborator Andy Nyman, Stranger Than We Can Imagine... author John Higgs and Quite Ugly One Morning author Christopher Brookmyre line up to pay their last respects (and sometimes disrespects) to Jack Sparks. Lovely, supportive sites and book bloggers. Thank you, all! See it on Amazon's Rising Stars 2016 list! Starved For Content: "A fantastic book"
Huffington Post: ​"I dropped the book in the bath"
Civilian Reader: "A must-read of 2016"
​​Red magazine: Jack Sparks is "funny, clever, scary as hell"
So, you already read and enjoyed the book? Here are some suggestions for what to do next, apart from patting yourself on the back, 'cause you're awesome! I can't begin to tell you how important book reviews are: especially for a debut novel. Sign up for my occasional e-mailing list, The Necronoppicon, which is guaranteed spam-free. Make sure you're among the first to find out about my new books! 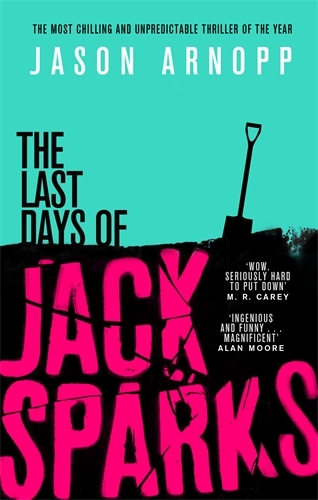 Here, I share insights into The Last Days Of Jack Sparks, and entertain you by playing retro video games and unearthing horror movies on ancient VHS, Doctor Who stuff and more! Subscribe to the channel here. 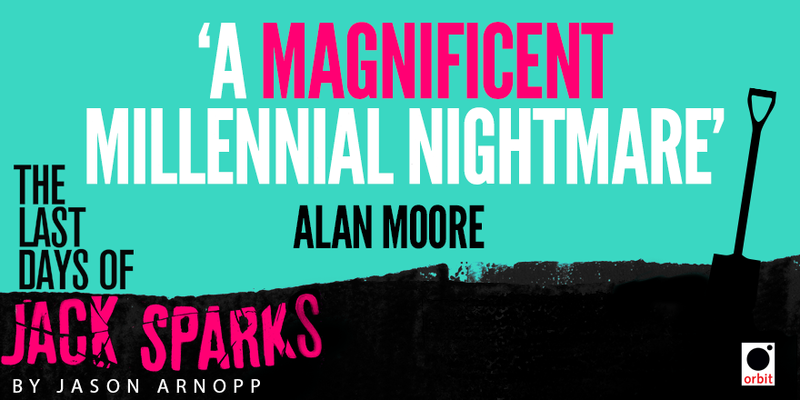 Add The Last Days Of Jack Sparks at GOODREADS... then leave a review! Feel free to bounce the below images around the internets! Thank you, thank you, thank you, thank you, thank you, thank you, thank you, thank you and furthermore, thank you.